Do I get free SMS messages with the solution ? Dynamic SMS supports currently Microsoft Dynamics CRM 2016 and Microsoft Dynamics 365 for customer engagement online or on-premise. Do i need to enter credit card details to access the trial ? When the trial period is over, you are required to enter credit card information. 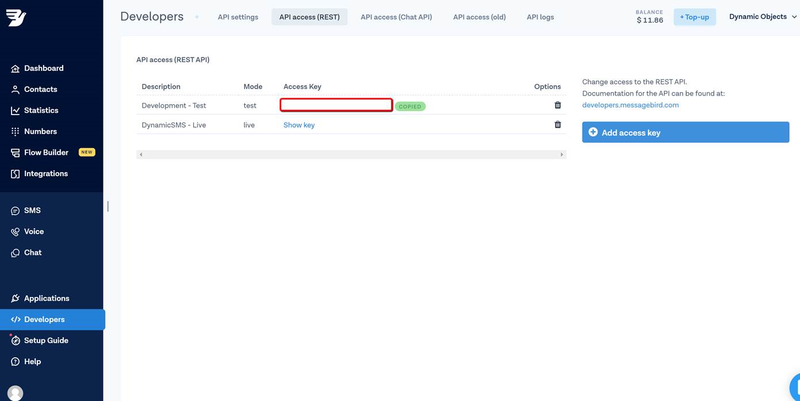 How do I configure my MessageBird Account in Dynamic SMS? 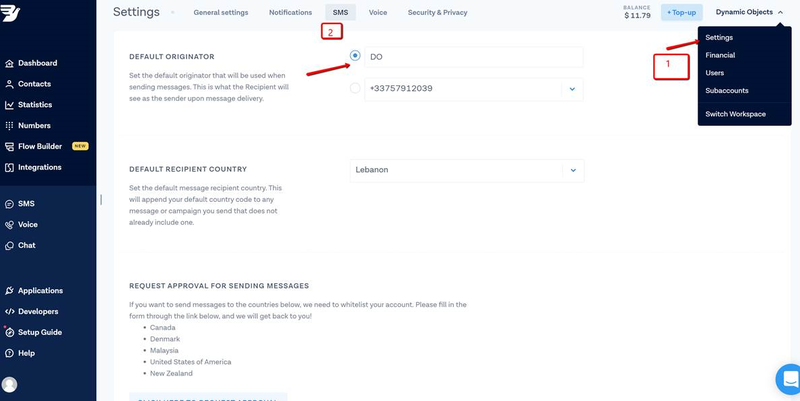 1) Please login to MessageBird, go to Settings and then SMS and Define the Default Originator. Test this by sending an SMS message to your mobile in MessageBird to make sure it works. 3) Click “Show Key” and then copy the key. You need this key in the configuration page of the solution. 4) Login to your D365 Org and then go to Settings -> Solutions -> Dynamic SMS. 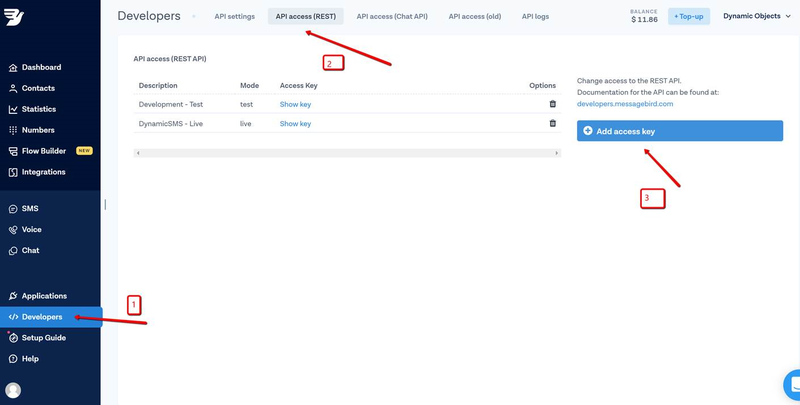 5) Choose Message Bird and Paste your API key from step 2. In the Sender Name type the same value defined in the “Default Originator” in step 1 and then Click Save.